This HUFF POST RELIGION article by Philip Pullella (REUTERS) majors on Francis’ personality and the probable motive behind this apology – the push for “Christian” unity. “Pope Francis asked forgiveness on Monday for the Roman Catholic Church’s ‘non-Christian and inhumane’ treatment in the past of the Waldensians, a tiny Protestant movement the Vatican tried to exterminate in the 15th century. “Francis made his plea during the first ever visit by a pope to a Waldensian temple on the second day of a trip to Italy’s northern Piedmont region, the centre of the Waldensian Church, which has only about 30,000 followers worldwide. “While the movement is miniscule compared to the 1.2 billion member Roman Catholic Church, the gesture is part of Francis’ drive to promote Christian unity and it has taken on added significance ahead of the 500th anniversary of the Protestant Reformation in 2017. 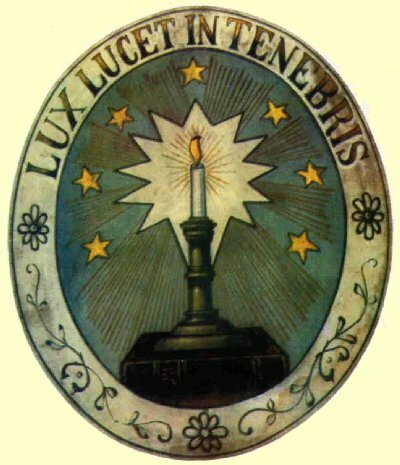 “The Waldensians, who now live mostly in Italy and Latin America, were founded by Peter Waldo in France in the late 12th century. He gave up his wealth and preached poverty but as the movement grew it came into increasing theological conflict with the papacy. On July 3, 2015, the website of the group of Christians named “Sentieri Antichi Valdesi” (“Old Waldensian Paths”) published an analysis of the Pope’s apology and his reception in a Waldensian temple. “We believe that ‘hugs’ and forgiveness in this context, has little meaning. This is because the Catholicism represented by the current pope and the version of faith represented by the current ‘Waldensian’ moderator has very little to do with the actual Catholics and Waldensians who were in conflict. They may consider themselves their successors, and true ‘representatives’ but, in our view, they are not. Instead, they are an ‘evolution’, not necessarily for the best. “Pope Bergoglio is a typical representative, in his own way, of post-modernist relativism. The lips which kiss the Waldensian Bible belong to the same pope who kisses statues of the Madonna and honour John Bosco, a staunch opponent of the Waldensians. These lips also pray in mosques and Buddhist temples. The pope seems to ‘value’ without discernment each form of religiosity, pretending to keep them all together, in the name of an unspecified spirituality. Undoubtedly, to the ‘ecumenical’ modern relativist this is pleasing. It avoids the question of truth arising. Everything is resolved in a sentimental ‘love’ without discernment. “All this certainly has its own logic, but is it something we want to subscribe to? The same applies to the modern ‘Waldensians’. While the Waldensian Church is formally the same institution as it was, modern Waldensians, despite their claims, have little in common with their historic predecessors who drafted their confession of faith and joined the Reformation in Geneva. Although formally subscribing to this, the modern Waldensians leaders continually contradict it or believe they have ‘moved on’ from it. They are not children of the the Reformation, but children of Enlightenment rationalism and higher biblical criticism, which sought to undermine the authority of the Bible (so that it would not longer be considered the Word of God). They have sold out to the myth of ‘progress’. They are enthusiastic supporters of any ideology that is fashionable. Undoubtedly, they speak about ‘love’, but it is love without discernment or defined in a very questionable way. Above all, this love is devoid of the moral criteria established by God in His law, which is relativised. The New York Times article by Alessandra Stanley (2000) shows the complexity of formal apologies for past sins in the thinking of the Catholic hierarchy; reveals the probable motivation for them; highlights crimes against the Jewish people; and, reveals the RCC’s belief that there is a need for mutual forgiveness. I believe that leveling a reproach in the context of any apology undercuts the value of the apology. Except for these excerpts, I didn’t read this document. The topic was studied, and the document written, at the direction of then Cardinal Joseph Ratzinger, Prefect of the Congregation for the Doctrine of the Faith, formerly the Supreme Sacred Congregation of the Roman and Universal Inquisition. At the conclusion of this reflection, it is appropriate to stress yet again that in every form of repentance for the wrongs of the past, and in each specific gesture connected with it, the Church addresses herself in the first place to God and seeks to give glory to him and to his mercy. Precisely in this way she is able to celebrate the dignity of the human person called to the fullness of life in faithful covenant with the living God: “The glory of God is man fully alive; but the life of man is the vision of God.” By such actions, the Church also gives witness to her trust in the power of the truth that makes us free (cf. Jn 8:32). Her “request for pardon must not be understood as an expression of false humility or as a denial of her 2,000-year history, which is certainly rich in merit in the areas of charity, culture, and holiness. Instead she responds to a necessary requirement of the truth, which, in addition to the positive aspects, recognizes the human limitations and weaknesses of the various generations of Christ’s disciples.” Recognition of the Truth is a source of reconciliation and peace because, as the Holy Father also states, “Love of the truth, sought with humility, is one of the great values capable of reuniting the men of today through the various cultures.” Because of her responsibility to Truth, the Church “cannot cross the threshold of the new millennium without encouraging her children to purify themselves, through repentance, of past errors and instances of infidelity, inconsistency and slowness to act. Acknowledging the weaknesses of the past is an act of honesty and courage…” It opens a new tomorrow for everyone. Talk is cheap…”You shall know them by their deeds”. If they would remove their crown… Pope Francis has removed many of the externals but everything essential remains in place. If they would renounce their unBiblical doctrines, their priesthood, and the Mass and Eucharist, and truly repent of these things – things the Waldensians opposed and lost their lives for, then they would simply be brothers. The richest man in the world, pretending to be humble and full of grace…. But the slaughter of counter-reformation and inquisition never stopped! Stephan, this is true. The true Church has forgotten – the truth has been buried. May the Lord strengthen and protect us! Maranatha! No, the true Church has not forgotten (she is the Bride of Christ!) but the visible church has and did it purposely. As society becomes more and more multicultural and inclusive so does the visible church along with laying aside the practice of discernment. Ages ago the visible church had its influence on society but today its the other way around! May He find faith on the earth in His children!! This comes to my email now and it should not get lost. When it only came to the reader, I often missed what you posted. No man or woman can be held responsible for someone else’s sins even if they are his father or mother. It follows we cannot apologise for another’s sins , only those who commit the error can apologise for it. We have enough to cope with our own short comings , following our own moral compass , listening to our conscience. Many terrible errors of the past which resulted in murder and slaughter were due to ignorance and the mis conceived idea that we must all be the same and follow the same beliefs. The Pope is in the process of building his church increasing his following and a sure way to do that is the road of tolerance. Kersten, you wrote, “The Pope is in the process of building his church increasing his following and a sure way to do that is the road of tolerance.” This makes sense because the Church of Rome remains committed to world rule. You’re right that no one can ask for forgiveness for the sins of others, however when people remain loyal to institutions that are guilty of wrongs, they do need to explain their loyalty. In the case of Roman Catholic leaders, they have to both admit the wrongs and ask forgiveness or they can’t move forward to their desired religious unity. Among their leaders, there probably are some who are truly sorry. A lot of this is simply for show and some is very cunning. No institution is free of human error , or guilty of no wrongs and this is clear by looking at the press who rake out any failings with brutal consistency. This is hardly surprising since we ourselves are far from perfect and we all belong to various institutions or on a larger scale nations. Yet we all want to belong, and nearly all of us come from families or perhaps larger families we call churches. Many Catholics know about the limitations and errors in their church and for some if it gets too hot they leave , but others are tied in by all sorts of strings such as friends and family and habit itself which is very strong. Leaders are even more locked in due to life-style and income , something we all need to survive. Religious unity is not possible anymore than human unity ; do our families live in unity ? are our politicians in unity? Is the country an example of unity? Were the disciples , the very followers of Jesus, noted for unity ? Kertsen, when Jesus’ disciples were with Him there was unity. On the night before He died He prayed for their unity. Among believing Christians there is unity. It is not an institutional unity. His Kingdom doesn’t come in a visible way and is not of this world. I understand you believe ‘ The lion shall lie down with the lamb’ and if there is a perfect afterlife world then that maybe possible, but we are in the real world and so was Jesus and all those who took part in that period of history. Those Christians alive at this moment are in the world and being human they conform to the world where there is disunity and aggression. We need to struggle for harmony and to show concern for the unhappy and poor and so in the here and now we need to show what is called Christian Charity. One third of the world live on $2 a day and millions have no basic hygiene . Does not the most famous prayer say ‘ Thy Kingdom come on EARTH as well as heaven? Kertsen, yes, the Lord taught us to pray in this way. But while we help others out of love for Him and others, the most important task He left to us is to preach the Gospel to every creature. The Gospel is summed up in the the two great commandments : Love God and love your neighbour and Is it not true that Jesus said ALL the law is contained in these two commandments . To my mind the second part namely loving your neighbour as yourself is impossible for us humans but I have met some who make a tremendous effort for the sake of others. Maybe you would say more important than this is saving a person’s soul and that our lives here are of small consequence or to put it in everyday language we are just passing through. I can only point again and say if we love our neighbour then we must believe they deserve some earthly joy and comfort. I’m not sure who you would define as your neighbour but for me it is all of mankind not just those of particular viewpoints or beliefs. What right have we to exclude any suffering human from our concern ? Now the Pope does not exclude people but like many religious persons he says; you must come through my way , what some call the narrow way. I’m rambling like an old man but then I am an old man having seen my three score and ten. Kertsen, I don’t think you’re rambling. All men and women are our neighbors. This is part of the meaning of the parable of the good Samaritan. In handling God’s Word, we must make distinctions between law and Gospel, between the obligation to obey the law of God – to love Him and others – and the offer of forgiveness of sins. I must be frank at the risk of upsetting you forgiveness is a dangerous concept because it relieves us of guilt. Guilt is essential to keep us on the straight and narrow as you would put it. Guilt is good for us it makes us human and sensitive to the folly of others and our own. I’m so glad I felt guilty about my past actions , the remorse was what I needed. Of course we must forgive and be forgiven but we can never be cleared of all our guilty past its a sign of growth and the formation of character. So although the idea of a scapegoat sounds excellent but it lets us off the hook , it stops us paying the price and earning the badge. Don’t you wish that Jesus had avoided the cross to stay with those around him and teach the right way to behave ? Three years was not long just think what he could have done in six years. My apologies if I have upset you but I must say what I feel and I often upset others on the internet . Kertsen, you haven’t upset me. There is a lot to respond to in your comment so please give me a little time to reply, okay? I know that you accept the words of scripture as fundamental truth and as a Christian you believe Jesus Christ was also God the creator of the universe . As you know I have no such beliefs so I see the scripture through different eyes and interpret it in a different way. Although we can have friendly discussions and exchange thoughts we can never agree . I’m not despondent about this for disagreement is common among men and women. Very good and very evil men can often sense things are getting too hot for them and danger looms. The good are disposed of because they get in the way of the selfish evil plans of the wicked ,and the wicked because they are in competition with those as wicked as themselves. Jesus knew his time was limited but he seemed to court disaster, it was almost as if he did not care , although when he realised the seriousness of his situation he wished he could avoid it. I cannot believe a man of such noble character would be unkind to one , like Peter , who loved him. It’s out of character , it just does not add up for me. The Bible Oddessey makes it clear that the gospels have been adjusted by later believers to fit in with Christian doctrine and I think this has happened in your quotation. They go further to say that Johns gospel is considerably different from the others. I’m not a theologian so I have to take the expert consensus on these matters . Kertsen, in every age people have misused, twisted, and forbidden God’s Word. Now it has been hijacked by scholars to further their objective of negating the words of Jesus Christ. Who are any of us to pick and choose which words Christ said or stand in judgment of them? My prayer is for you. Scholars come and go. There are fine scholars who believe. You have looked at what you say is the consensus view but it is the consensus of those who don’t believe. A beautiful quote and very true it’s often summed up in the phrase here today gone tomorrow. Tell me does the idea of being gone frighten Yoú? Should we crave immortality ? or be content with our quota ? Does it ever strike you as selfish to want to live forever ? I have a friend who says he would not know what to do with his time. Edward Hills maintained that we cannot investigate the Bible as we can other ancient books since God has maintained its fundamental truth throughout the ages. He goes on to argue for the King James version ;curious really since surely God would have maintained all the versions . Islamist scholars maintain the Koran is free of error since we have the original version. Crewmember to unbelievers the Bible is a rough and rather sketchy picture of Jesus Christ passed down through two thousand years , and we have to make up our mind what to think. Do you believe the consensus regarding climate change ? as I see it we have little alternative. I believe the New Testament supersedes the old and implies we should love our neighbor as ourselves even going so far as to dare to love our enemies. Such teaching is revolutionary but it can never be fulfilled by human nature. We can only live in the Old Testament because without the law things would run riot. I hope I’m expressing myself rationally and well. About the New Testament and love. When Jesus told us to love our neighbor as ourselves, He was quoting the Old Testament Book of Leviticus 19 – you may know that He often quoted The Tanakh. Love was there in the Hebrew Scriptures, strongly, both of the LORD and others. You’re right, as far as I know, that to love one’s enemies was not only extraordinary but new. For three years I worked for the state Environmental Protection Agency. We recycle as much as we can. These things are important to us and I’m glad our city has some of its energy from wind turbines and it shares some of this energy with a large city to the Northeast. The Law is holy, perfect, and just. It restrains evil in society but also is our tutor to bring us to Christ Who delivers us from the penalties of lawlessness, and Who fulfilled the Law and died for us law-breakers. I don’t think it’s selfish to want to live forever, to be with the Lord and know Him. There is dread in me about the concept of ceasing to exist, and this is probably reasonable. The Lord promises that this will not happen. You are very clear in your answers and I appreciate your time and effort . I’m without higher education and often struggle with punctuation and consistency. The Jews are a very nationalistic race today and they have always been that way. The Old Testament is a record of the Jewish tribes and their feelings with their God and others. Neighbors in the Old Testament sense means fellow Jew not any other race or creed . The Samaritans were impure Jews and hence they had transgressed the belonging of Jewishness. That is the purpose of the parable of the good Samaritan; to show that race is not important but how we treat our fellow man is primary. All the stuff about circumcision in the New Testament is aimed at the Jews along with all the business of diet and ritual. I’m not anti Semitic we are all tribal by nature and our first allegiance is to the tribe of family . ‘Who is my Mother who is my father etc’. After family comes friends and those close relations , strangers are another tribe we owe them no allegiance. Jesus Christ battled with his own first to prove we are all one human race. When the white tribes , French , English, Spanish came to the New continent of America they found it full of Indian tribes just as today Europe is full of tribes vying for supremacy. So the message of Jesus is the same today because the world has not changed ; worse still we have religious tribes , Christian tribes ect. I think the dread of ceasing to exist is common to all humans who can contemplate death. Animals are saved this dread because they take life or death as it comes. It is the reason the eastern religions have invented Karma which has a dual purpose. It fits in with divine justice since we pay through many lives for our misdeeds and it removes the dread of ceasing to exist. Is there not a form of Karma in Christian literature ‘ a man will reap what he sows’? Kertsen, forgive me for taking time to respond as I have been thinking about how to respond. If you want to know the Lord, I can show the way, but this kind of philosophical talk is useless. May the Lord show mercy to you as He did to me and my husband! We have an insoluble problem of the type that always happens between those with an exact view of what life is all about and those like myself who are open to discussion or debate as to the meaning of it all. Your title ‘ The narrow way ‘ is an apt one and defines your position accurately. I must take up no more of your precious time and we must go our separate ways . I take my leave tinged with sadness and wish you a satisfying and contented life in your chosen way. Kertsen, please forgive me for speaking sharply. No excuses offered for my failure. You are welcome here. Stop by if you still want to! More about the Lord Jesus Christ from Paul’s epistle to the Colossians, chapter 2. Sometimes we have to speak our mind even at the risk of offending others because honesty must come before deception. That is the prime purpose of exchange on the internet and your name informs all who engage with you of your character. I don’t blame Jesus for his loss of control when he upturned the money tables and throughout my married life my wife and myself have had various set -toos but it does not extinguish the flame of love. We are fragile unpredictable creatures doing our best in a crazy world. I have found even the worst and bitterest exchanges have enabled me to grow and increased my confidence to tread in more dangerous places. I will keep in touch and look forward to your comments. Glad to hear from you, Kertsen. I hope you know that I wish you both well! Stop by, weigh in, expect a little confrontation. May the Lord protect you both in this crazy world!